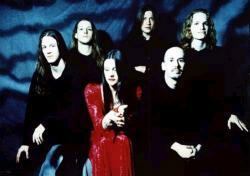 After Forever was a Dutch symphonic metal band with strong progressive metal influences. The band relied on the use of both soprano vocals and death grunts. In February 2009, it was announced that After Forever had disbanded. Singer Floor Jansen and keyboardist Joost van den Broek collaborated again in ReVamp's first album ReVamp, and in Star One's second albumVictims of the Modern Age.